Due to the built-up nature of Norwich it is difficult to trace the earliest history of this settlement. Although a number of prehistoric monuments have been recorded in the NHER, many of these derive from the 19th century, and were often only cursorily described. However, some evidence has been recovered recently through excavation, on such sites as the former Start-Rite shoe factory near the river Wensum (NHER 40367), where Late Neolithic or early Bronze Age pits have been noted in conjunction with worked flint. A ditch containing worked and burnt flints and pottery sherds near Greyfriars Road (NHER 41958) is also thought to be prehistoric in date. Perhaps of the greatest importance is a recent excavation on the site of the Norwich Football Ground (NHER 26602), where the survival of in-situ Upper Palaeolithic flint artefacts is thought to be of national importance. In addition to this there have been a large number of objects recovered, including axes from the Palaeolithic (NHER 470, NHER 472), Mesolithic (NHER 335, NHER 465), and Neolithic (NHER 479, NHER 495) periods, as well as Neolithic arrowheads (NHER 492), scrapers (NHER 494, NHER 509), and adzes (NHER 544). A few Early Bronze Age barbed and tanged arrowheads have also been recovered (NHER 483, NHER 491, NHER 22854). Other finds from the Bronze Age include a number of copper alloy axeheads (NHER 498, NHER 892), spearheads (NHER 503, NHER 504), and palstaves (NHER 9527, NHER 39508). A small number of hoards from this period have also been found, most of which were dominated by the presence of axeheads (NHER 500, NHER 685, NHER 18149) but one did also contained an awl, pin and tweezers (NHER 873). 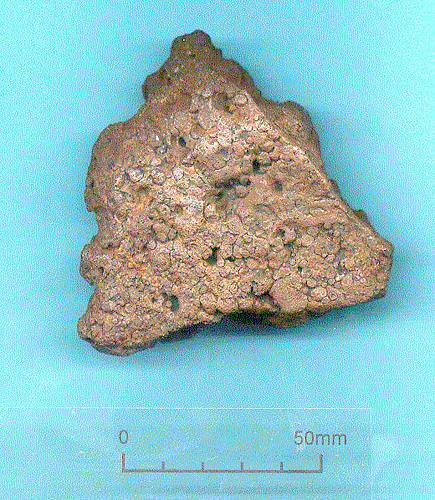 Of particular note is a hoard of some 145 separate pieces discovered in a back garden in Norwich in 2005 (NHER 41383). A large number of these were axeheads, but there were also spearheads and sword blades. There is also mention of a small number of possible Bronze Age round barrows, however the majority of these were recorded in the 19th century and often exist on lands now covered by buildings (NHER 333, NHER 366, NHER 39358). One more recently discovered example was excavated in 2006 (NHER 45439), under medieval building layers on Ber Street, along with a number of flint tools and Early Bronze Age pottery sherds. It is thought that a number of these features may be present under existing houses on or near Ber Street, which stands on a raised ridge of land. Iron Age finds are limited to five silver Icenian coins to the north of the city, and a gold coin from the south. Perhaps of most interest is a recent sampling strategy undertaken on the site of the Riverside leisure development (NHER 26476), where peat layers were dated and analysed and a tentative sequence created. This shows us that the area, which is very close to the river on the east bank, was heavily forested in the Mesolithic period. By the Neolithic time agricultural activity had led to deforestation, and the environment had become progressively open and cultivated during the Bronze Age. The woodland was further thinned in the Iron Age and it is thought that both arable farming and animal husbandry occurred at this time. Roman features and finds are limited, largely due to the fact that Roman settlement was concentrated in and around Venta Icenorum (NHER 9786), 1.5km to the south in the parish of Caistor St Edmund. However, a small number of burials have been noted to the southeast, some 6.5km northeast of Venta Icenorum, as well as a possible cemetery site on Dereham Road, where a number of coffins and remains have been recovered. This is likely to be linked to the Roman road (NHER 5244) that is thought to run from Bawburgh to Bishop Bridge in Norwich and thence eastward to Brundall, and may have followed the line of Dereham Road, St Andrew’s Street and Bishopgate. The only other site from this period is situated on the north bank of the River Yare (NHER 514), and may contain the remains of a wharf or bridge, as well as evidence of animal slaughter, Roman tiles and brick. Although Roman finds are much more common, it is thought that these are likely to be the result of the intensive reuse of Roman material from Venta Icenorum. However, many coins (NHER 513, NHER 9388, NHER 36200) and pottery sherds (NHER 893, NHER 9630) have been recorded. Other objects include a copper alloy lamp (NHER 648), a brooch (NHER 41161) and a report of gold coins and jewellery (NHER 712). A possible hoard (NHER 541), comprising some fifty coins and recovered from an area near one of the burial sites, has also been recovered.